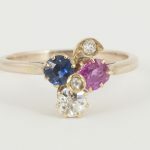 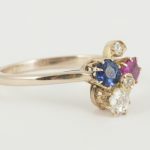 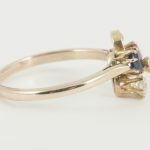 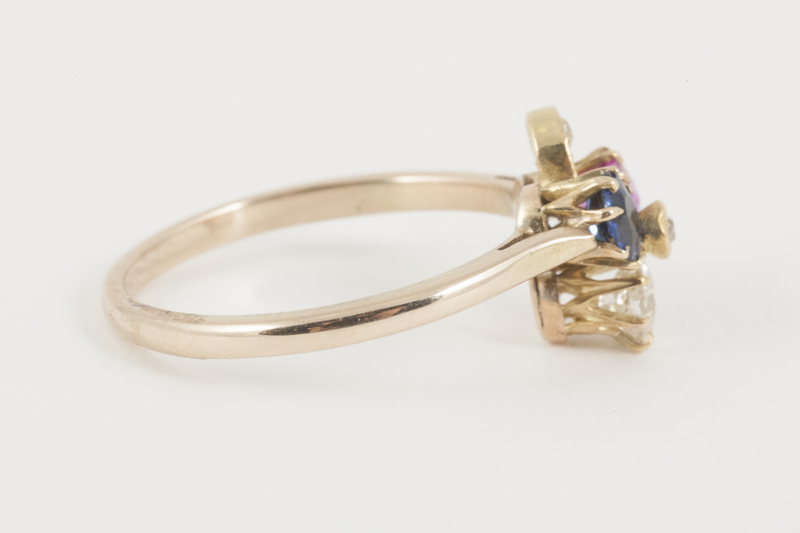 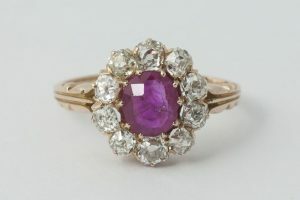 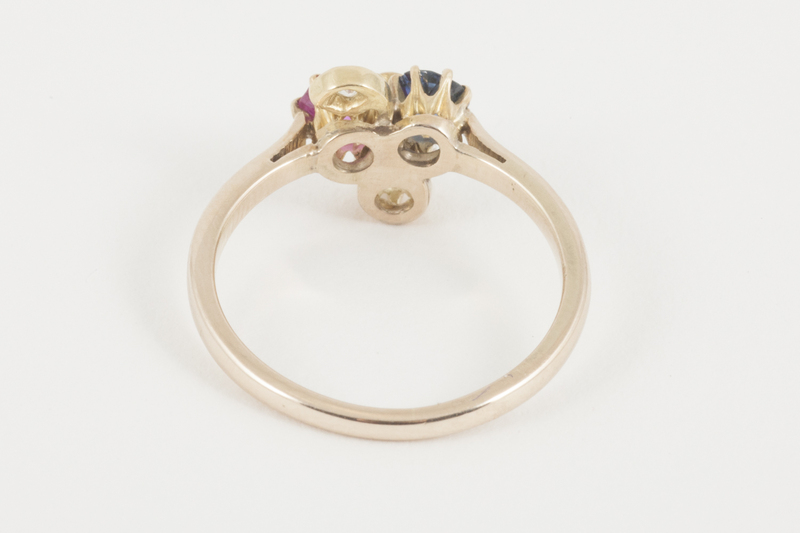 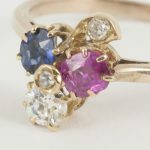 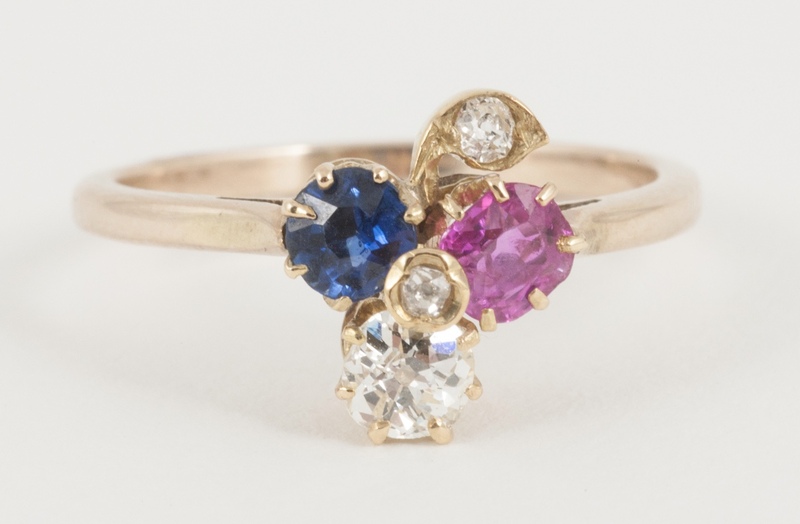 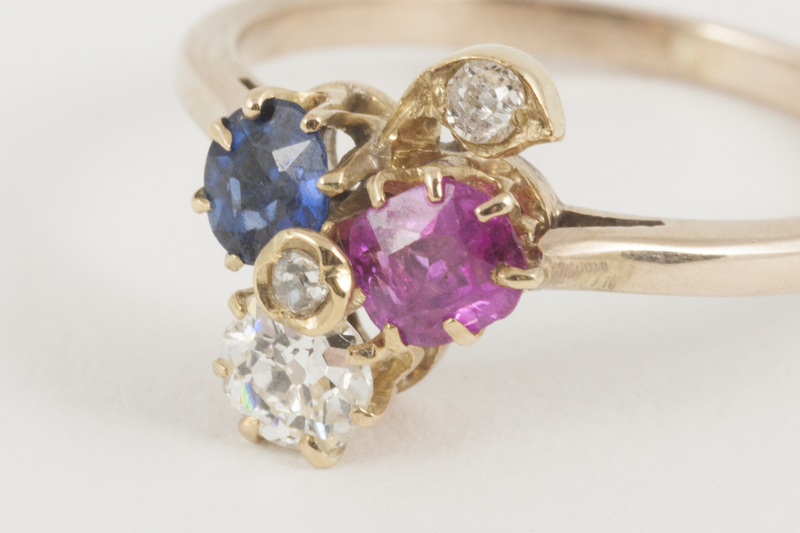 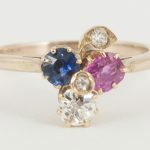 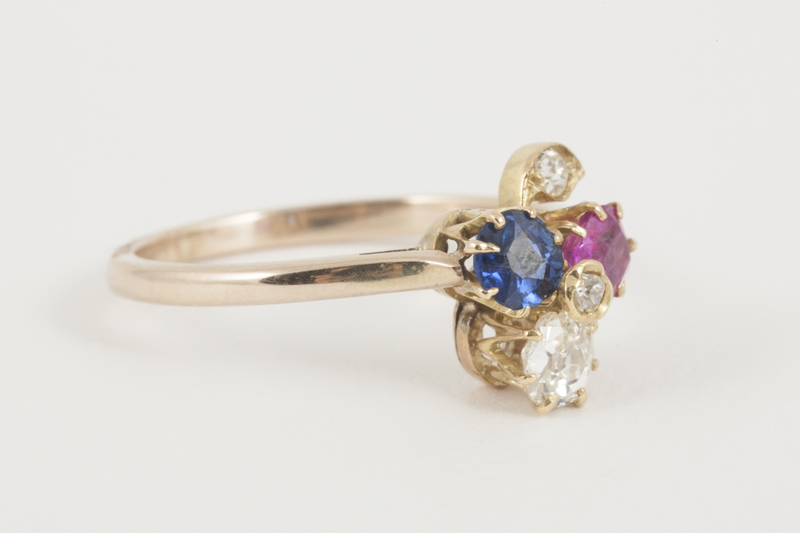 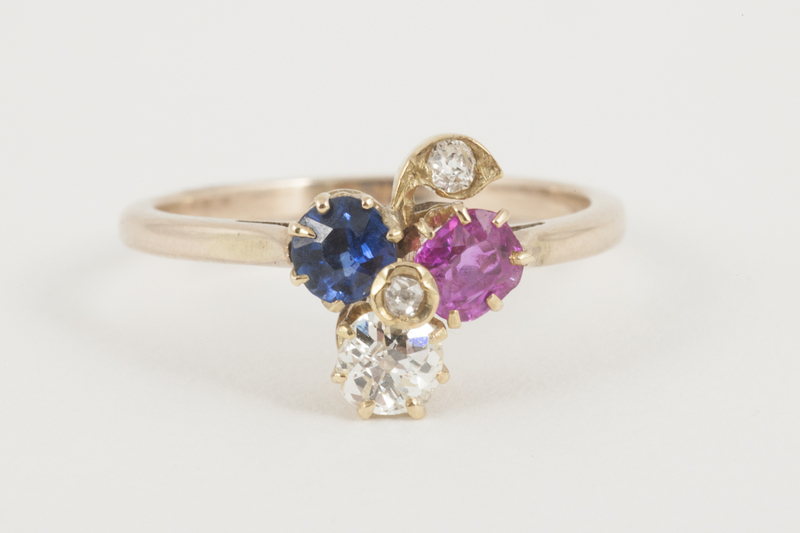 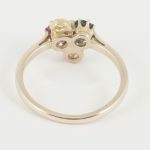 Late Victorian three leaf clover ring mounted in 18 carat gold, with a pale Burma ruby, Ceylon sapphire and an old cut brilliant diamond, additional diamonds depicting the centre and stem. 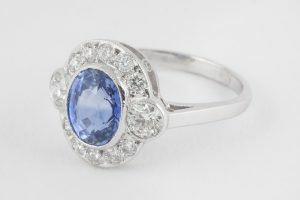 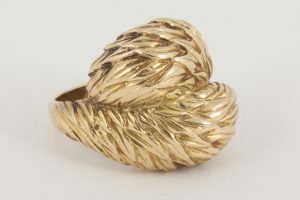 UK ring size ( O.5 ). 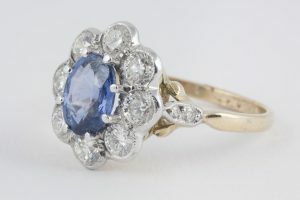 Late 19th century, English circa 1890-1900.